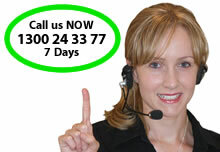 Spiders can run but they cant hide from Micropest Spider Pest Control Sydney Australia. Dangerous, venomous spiders of Sydney Australia and the many harmless ones, are always a major concern for any new immigrant, responsible parent or arachnophobe that decides to live in Sydney. The leafy suburbs and humid subtropical climate of Sydney makes it ideal for spiders to breed and the insects they feed upon. Spiders belong to the arachnid family, and have a two-sectioned body and eight hinged legs. They do not have wings or antennae. Spiders may spin webs in elevated areas or live in the ground, some can bite and a few can inject toxic poisons. Spiders in your Sydney home. Spiders are a much-maligned pest found in many homes in Sydney. 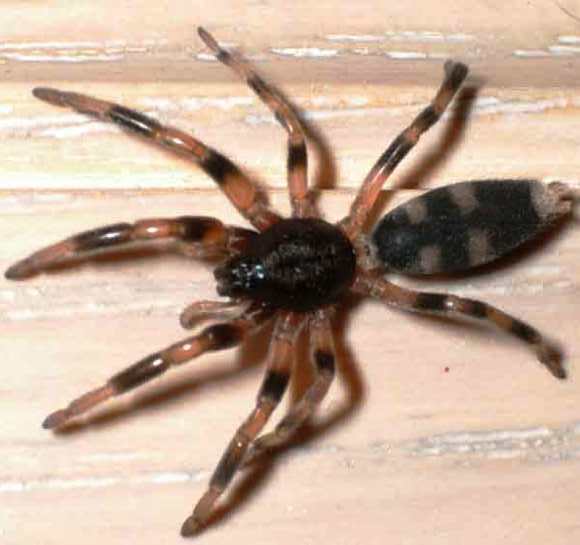 There are many varieties of spiders, and although many are harmless, some represent a significant threat to your family such as Red Back , Sydney Funnel Web and Whitetail spiders. The most common spiders found in and around the home are Daddy Long Legs, Black House, Red Back, Whitetail and the Huntsman spider. In the garden it would have to be St Andrews Cross and Golden Orb spiders. The common ground dwelling spiders in Sydney especially around the North Shore and Northern Beaches are the Sydney Funnel Web , Trap Door, Mouse and Wolf spiders. I get at least five calls a day during the summer with clients ringing me up in concerns with black spiders they have found in the house or holes in the garden, thinking they are funnel web spiders. If new to Sydney and you have children it pays to spend a little time to study the differentiation's between the four common ground dwellings spiders, black house spider and Sydney Funnel web spider. The red back spider, the iconic “spider with a red back”, is an instantly recognisable variety of native spider named for the vivid red marking found on the back of the female of the species. 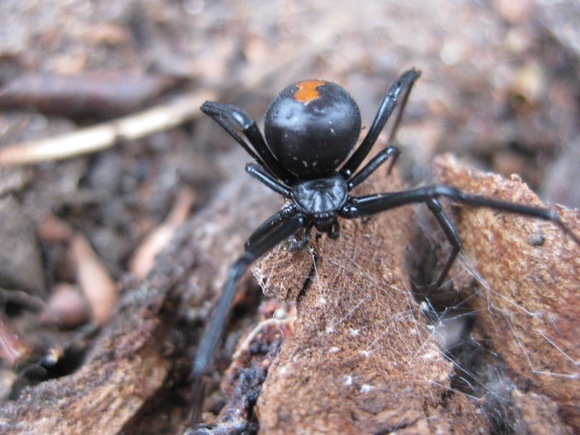 The highly venomous red back spider is common in warmer areas, and is commonly found in Sydney. They are known for the distinctive red marking found on their back. Red backs usually make their homes in sheltered, out-of-the-way areas, and are usually not dangerous unless provoked. Only the female red back bites. Red back spiders can be dealt with using topical sprays, and by regularly checking sheltered areas for evidence of red back webs. Red back spiders are found all around Australia, including in Sydney, with sightings common in dry areas and urban or built-up environments. This is because red backs make their home in protected, out-of-the-way areas such as in outdoor furniture and equipment, or in rarely used machinery or materials. Red back spiders live in messy, loosely-spun webs with leaves and rubbish caught in them, that are typically situated close to the ground. The spider is usually found sheltering in a funnel-shaped hiding space in one corner of the web, and typically only emerges when provoked or when defending her eggs, which are white and fuzzy in appearance. 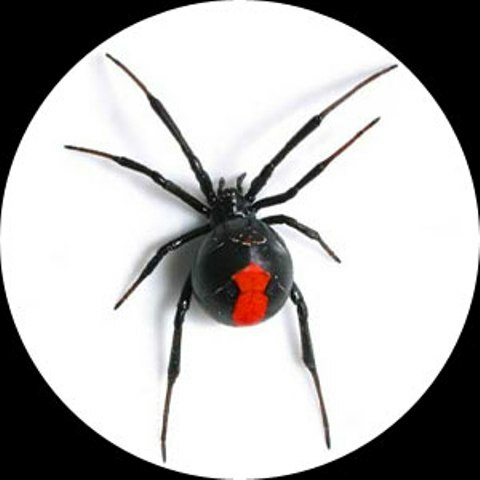 Although the red back spider is shy and timid and not prone to aggressiveness, they are highly venomous. A bite from a red back can potentially be fatal, particularly for the very young or for the elderly. Red back bites induce a variety of symptoms in victims, with common symptoms including nausea and vomiting, pain and muscle spasms, fever and sweating, and restlessness. Fortunately highly effective anti-venom is available for red back spider bites, allowing for prompt treatment. Initial treatment, however, should involve icing the bite and if appropriate, the use of mild painkillers to help manage any pain or irritation. 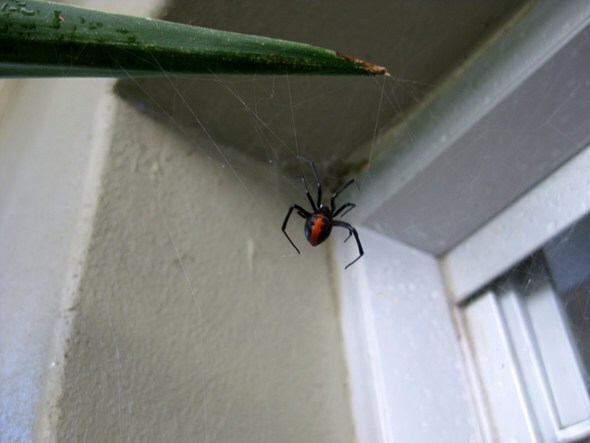 Red back spiders can be managed using care and caution when working in the garden or in or around the sorts of sheltered areas where red backs make their homes, particularly when children are nearby. Wearing gloves is always recommended in case a nesting red back is inadvertently disturbed. If a red back infestation is a concern, then calling in an experience Micropest pest controller to help identify and manage the infestation is recommended. As pest control treatments tend to only have a temporary effect on managing red back spider numbers, ongoing treatments are needed to ensure that red back numbers remain in check. For more information about identifying and managing red back spiders, or other types of spiders commonly found in Sydney's households, contact our friendly customer service team today. One of the most notorious of Australia's native spiders, the funnel web spiders is a common pest in Sydney and its surrounding areas. The funnel web is long-lived and highly venomous, and these factors, combined with its ground-dwelling habits, make it a significant issue for homeowners. 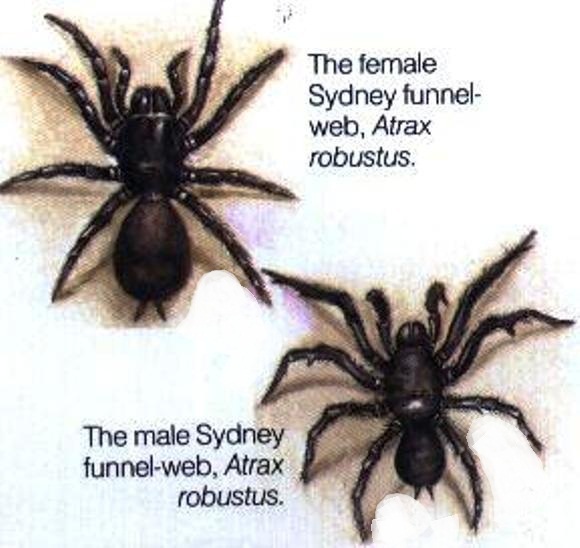 Sydney Funnel web spiders are an extremely venomous spider found throughout Sydney. Unlike many other types of spider, they make their home in burrows, often in sheltered areas that are protected from the elements. They are large in size, and are dark in colour. Sydney funnel web bites are most common during summer and autumn, and medical treatment should be sought immediately. Because funnel web spiders look for moist sheltered places, checking shoes, clothing, and toys is recommended if Funnel Webs are a known problem in your area. Areas such as the North Shore of Sydney, Northern Beaches of Sydney and Central Coast. The appearance of the funnel web. Large and black in appearance, funnel webs also have a distinctive shiny body. Funnel webs can vary in size, with some varieties having a body of more than 5cm in length. The female of the species is larger, with a more substantial abdomen and shorter legs, and often with a slightly brownish or blue-hued abdomen. Where funnel web spiders are found? Funnel webs are found along the eastern cost of Australia, although they may also be found in South Australia. 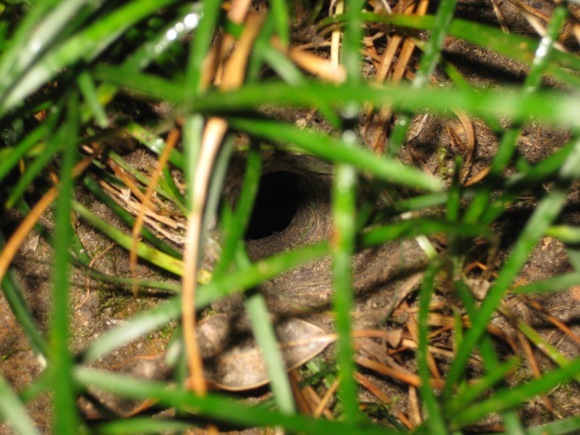 Funnel webs usually make their burrows in sheltered, protected areas on the ground, although they may also create burrows in trees or stumps in above-ground areas. Their silk-lined burrows often have several thick strands of silk evident at their entrance. Dealing with a funnel web bite. Funnel webs can be found all year round, but bites are more common in the summer and autumn months. This is because the funnel web males are more active during these times. Because funnel web bites can are highly toxic, and can potentially result in death, medical attention should be sought as soon as possible. First aid efforts can be assisted by applying pressure and an immobilising splint to the affected area, and collecting the specimen if possible. If you live in an area where these spiders are commonly found, always exercise caution when outside, particularly if your home has any rocky or thick, bushy areas. Wear gloves when gardening, and always wear appropriate footwear. Shake out any clothing or shoes left outside overnight, and educate children about what funnel web burrows look like. Pest control for funnel web spiders. If you're concerned about funnel web spiders around your Sydney home, then it's recommended that you contact an experienced, licensed, Micropest pest controller. For more information about identifying or managing funnel web spiders, contact us today. 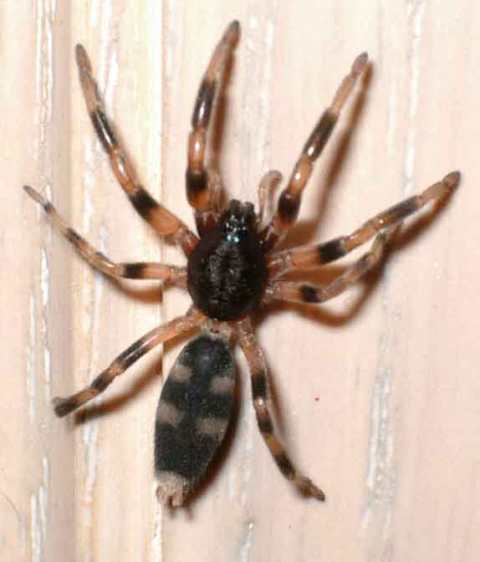 White tail spiders are small in size and are named for the small white mark on their abdomen. They are commonly found in sheltered areas, and in clothing and sometimes bedding. Some individuals may experience necrosis or ulceration around a bite area. If a white tail infestation is suspected, habitually check warm, damp areas such as bedding, shoes, or clothing in the washing pile. White tail spiders may be small, but they can be a dangerous pest. White tails make their home in sheltered places around the home, and are often found in bedding or clothing. White tail spiders are usually between 1.2-1.8 centimetres in length, with the female of the species larger than the male. They can be a dark red or grey in colour, and have a long, thin abdomen and long legs decorated with reddish bands. The four white spots on their tail are what give them their name. White tails do not weave webs, but rather “wander” about their habitat in search of other spiders and small insects to feed on. Where white tail spiders are found. There are two varieties of white tails. One, lampona cylindrata, is more common in southern Australia, and the other, lampona murina, in Eastern Australia. Whitetails outside are found in hidden, sheltered areas such as in and around leaf litter and refuse, logs, rocks, and tree bark. Within the home they are often found in clothing, bedding, and other similar areas. Night-time hunters who search for prey at night, they are more commonly found after dark than during the day. They are also more prevalent during summer and autumn than during spring and winter. Dealing with a white tail bite. 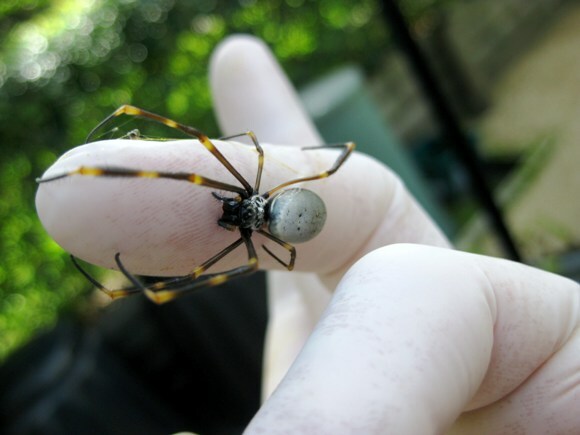 Whitetail spiders are known for having a bite that causes searing pain, swelling, and itchiness. Some individuals may also experience blistering or ulceration around the wound, although claims regarding whitetails and necrotisation are disputed. Managing white tails around the home. Whitetails are hunting spiders that feed on small black house spiders, daddy longs legs spiders, and curtain-web spiders. By regularly clearly away the webs of these spiders, white tails can be discouraged. White tails found in or around the home should be removed. Whitetails and professional pest control. 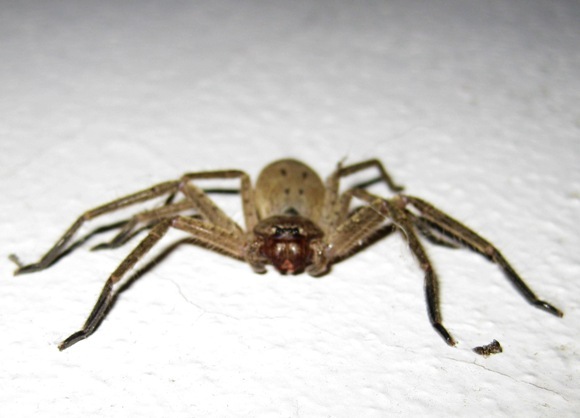 If white tail spiders are an ongoing issue in your home, then calling in an experienced pest controller may help you manage white tails and the other household spiders they prey upon. For more information about identifying and controlling whitetail spiders in your home, speak to us today. St Andrews Cross Spiders are definitely the most common harmless, non toxic, non aggressive spider found in and around Sydney gardens. Its a helpful spider that catches mosquitoes and other pesky flying insects. Easily found and identified by their cross shaped webs and their black and yellow legs and abdomens. Easily managed by a general pest control treatment once a year. Many other varieties of spiders are commonly found in or around the home, with huntsman spiders, orb-weaving spiders and trapdoor spiders some of the more common varieties. These spiders typically pose no threat, and can be dealt with on an individual basis rather than using pest control measures better suited to managing other types of spiders. If you're concerned about spiders in your Sydney home, and would like more information about spider control and management, contact our Micropest today.